If one thing is clear, is that Finnish developer Remedy Entertainment has a track record for producing cinematic and original games. Take their Max Payne series, which features a brooding and dark hero and cool third-person action with slow motion Matrix-style gunfights. The Max Payne video games sure were commercial hits, and Hollywood even made a movie based on the games which did quite well at the box-office. Remedy also enjoyed success with their Alan Wake video game, which featured an original horror-themed plot in which writer Alan Wake had to battle undead (using his flashlight no less) and we may yet see a sequel for it. And Remedy’s upcoming game Quantum Break, which will debut on Microsoft’s Xbox One console in April 2016 is shaping up to be one of the most original video games released in years. The game not only features spectacular third-person action, but will also include segments that play like an adventure game and even a live TV show (the episodes will be included on the game’s discs). Microsoft revealed more of this upcoming Xbox One exclusive at Gamescom, which is one of the world’s leading computer and video game events, and this year took place in the German city of Cologne. A trailer shown for the game showcases Quantum Break’s spectacular third-person action, and how the protagonist is able to “warp time” to his advantage in order to defeat his enemies. And while the ability to manipulate time in the game’s third-person shooting action bits is certainly an original feature, the fact that the game will include a live action TV show is certainly a novel feature these days, as player’s actions in the main game will be reflected in the live action sequences, having an effect on how these play out. In this regard Quantum Break will play in a similar manner to one of those “interactive movies” of old like Chris Robert’s Wing Commander video games, that had live action sequences that played out in different ways depending on the player’s success or failure in the game’s missions, and featured well-known actors like Mark Hamill of Star Wars fame. 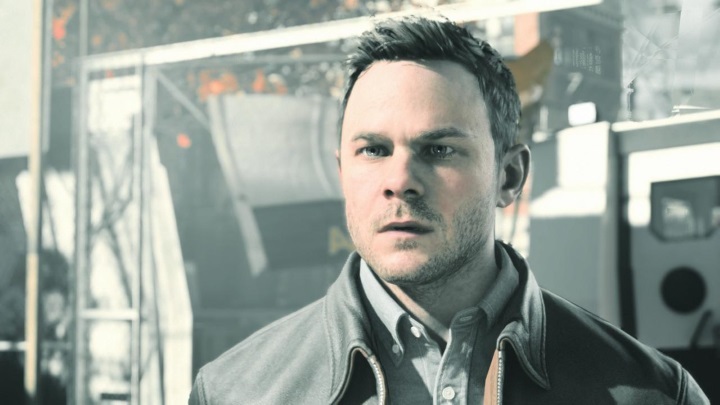 Although the “interactive movie” genre is regarded as something of a failure, perhaps Quantum Break’s live action TV show will go down well with gamers, as it appears to have high production values and features an all-star cast that includes Shawn Ashmore as the lead and Aidan Gillen of Game of Thrones fame, who plays the leader of the game’s evil corporation (known as Monarch Corporation), which wants to take advantage of a time-travelling experiment gone wrong that allows the protagonist to bend time in the game’s action sequences. And while what has been shown of the game so far certainly proves that Quantum Break is a promising and no-doubt ambitious video game, it remains to be seen whether Finnish developer Remedy Entertainment’s “cross-medium” experiment will end up being an enjoyable game or not. But given how video games are becoming more and more cinematic these days, with production values and budgets that rival the top Hollywood blockbusters, it would certainly be a great thing if Quantum Break’s fusion of live action and gaming ends up becoming a hit. Note: Quantum Break will be released on April 5, 2016. It will be available on Xbox One.